The Indian Armed Forces are the military forces of the Republic of India. It consists of three professional uniformed services: the Indian Army, Indian Navy, and Indian Air Force. Additionally, the Indian Armed Forces are supported by three paramilitary organisations (Assam Rifles, Indian Coast Guard and Special Frontier Force) and various inter-service institutions such as the Strategic Forces Command. ·The President of India is the (de jure) Supreme Commander of the Indian Armed Forces. ·The Indian Armed Forces are under the management of the Ministry of Defence (MoD), which is led by the Union Cabinet Minister of Defence. ·With strength of over 1.3 million active personnel, it is world's 3rd largest military force and has the world's largest volunteer army. ·The headquarters of the Indian Armed Forces is in New Delhi, the capital city of India. ·It conducts humanitarian rescue operations during natural calamities and other disturbances, like Operation Surya Hope, and can also be requisitioned by the government to cope with internal threats. · Indian Army is organised into seven commands. Here is the list of Seven Commands of Indian Army and their headquarters. ·The primary objective of the navy is to secure the nation's maritime borders. · India also uses its navy to enhance its international relations through joint exercises, port visits and humanitarian missions, including disaster relief. 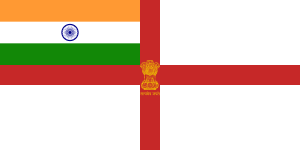 · Indian Navy has three commands each headed by Flag Officer Commanding in Chief. Here is the List of three Command of Indian Navy and their headquarters. 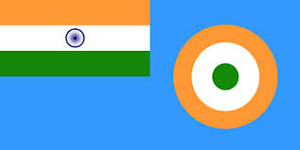 ·Indian Air-Force the World's 4th largest Air-force. ·Its primary responsibility is to secure Indian airspace and to conduct aerial warfare during a conflict. ·Air-Force is organised into five operational and two functional commands. Here is the list of Operational and functional commands of Indian Air Force and their headquarters. The chiefs (Chief of the Army Staff, Chief of the Naval Staff and Chief of the Air staff) of all three armed forces are appointed by the president of India for a term of 3 years or at the age of 62 whichever is earlier.